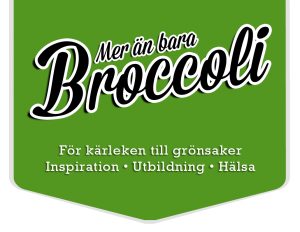 BaraBroccoli.se turns 1 in June and it will of course be celebrated properly. 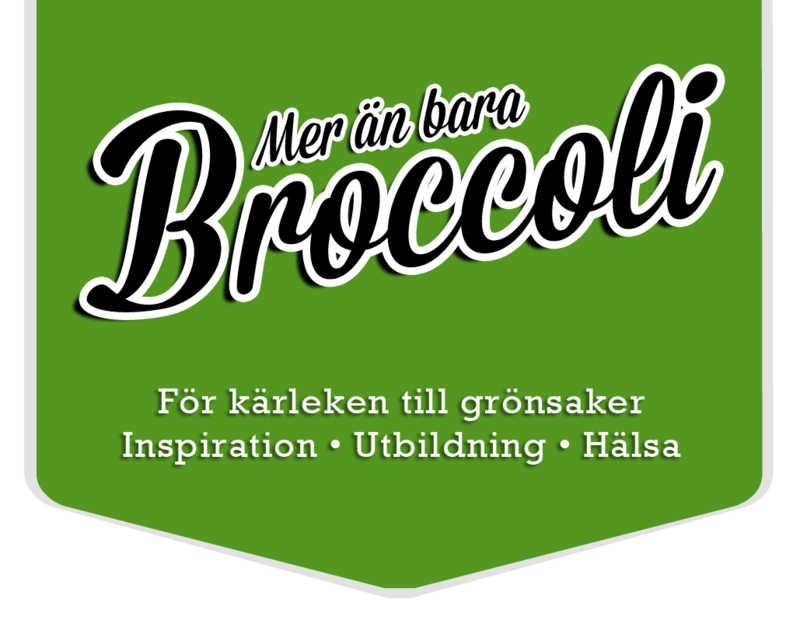 I want to take this opportunity to thank all of you who follow the blog, comment on and try out the recipes, it’s you who inspire me to continue! 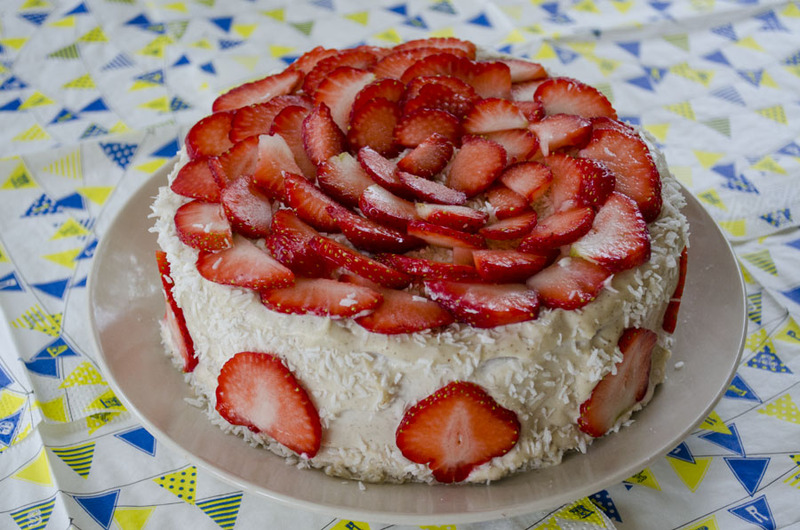 To celebrate this, we need of course a cake, and what fits then no better than a Raw food cake, which is so fresh that it fits for all summer parties. And not only that, it’s super easy to do! 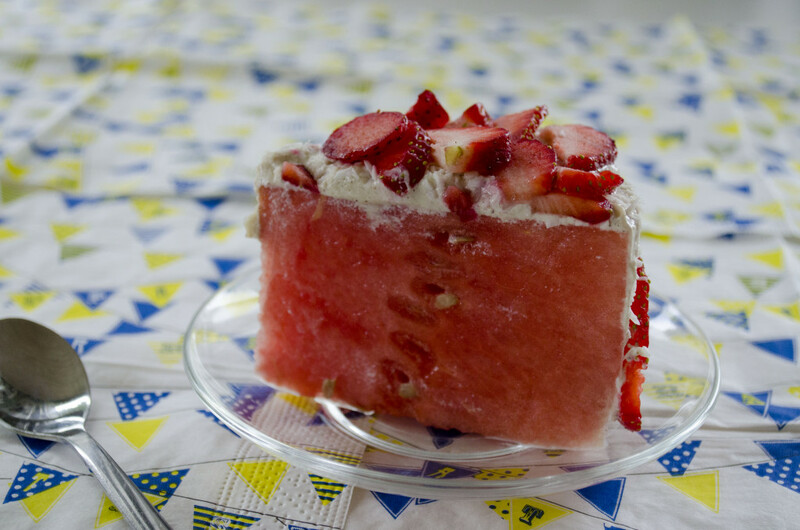 Cut off the top and bottom of the watermelon so that it is a 10 cm flat “cake” left. Cut away the peel. Place on a platter or plate. Mix the nuts, water, lemon, and vanilla into a thick and creamy paste. If it is too thick add a little more water but make sure it’s not too loose, then it will be difficult to cover the melon. 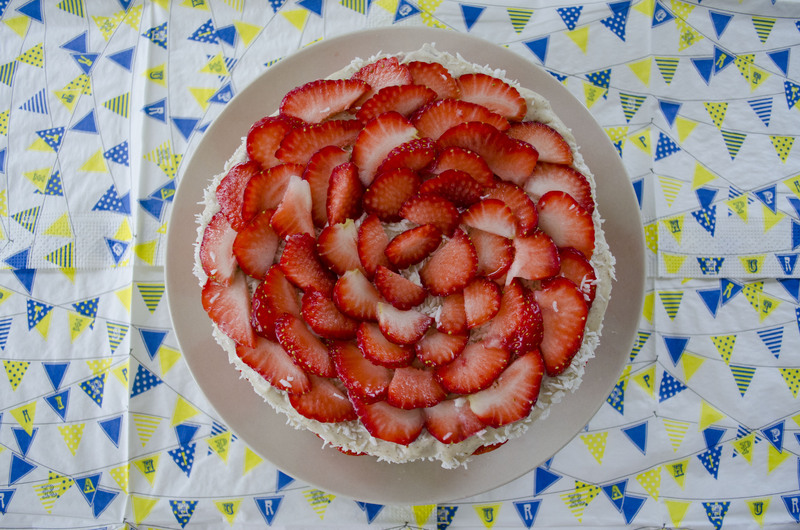 Spread with a spatula or knife the cashew cream round the melon cake and cover both the top and sides. Take the coconut and sprinkle over and around the sides. Cut strawberries into slices or pieces and decorate around and on top. Put in the fridge for 1h so that the cream hardens slightly.